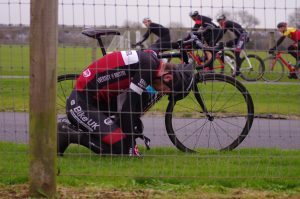 John Russell (Bristol Road Club) looked to have a commanding win wrapped up in round one of the Odd Down Winter Series but was almost mugged on the line by a fast charging Nathan Hallett of Latchem-Sunwise. Russell had been just off the front of the bunch in the final laps with Hallett’s teammate James Dudden and had the lead coming into the final metres. “Who knows? I’ll leave it to the powers above,” he said with a grin and a shrug. Jenny Bolsom took the win in a small field in the E/1/2/3 women’s race, outsprinting Maria Powell at the finish to take an early series lead. It was disappointing that the field was so small, but there is a bright future with 15 women starting in the women’s 4th cat race. 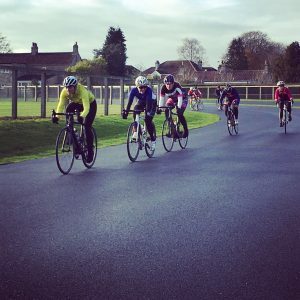 A few of the regular faces from Odd Down over the last few years were present and it turned into a hard fought and competitive race. Lauren Johnston (Unattached) and Rebekah Nash (University of Bristol) took a commanding lead very early on in the race and despite a spirited chase from two Avid Sport riders – Fran Bromley (3rd) and Molly Hodges (4th) – the lead pair were not to be denied. Johnston took the win ahead of Nash, with Claire Lawrence (Sodbury Cycle Sport ) and Katherine Moore (Das Rad Klub) mopping up the top places in the bunch sprint for 5th and 6th. All of the top four 4th cats have already entered for next week so the higher category riders are going to have a chase on their hands to bring these strong new racers back into the fold in the handicapped pursuit next week. With the men’s 2/3 race coming down to the finest of margins, there was no doubt about the winner in the 4th cat men’s race. Jared Linden was well clear of the rest of the field having dispatched his breakaway companion Jamie Atkins (University of Bristol) to take the win. Atkins looked to have second place comfortably sealed up but an impressive late charge from University of Bath’s Ed Gray out of the bunch almost saw Atkins pipped at the line. 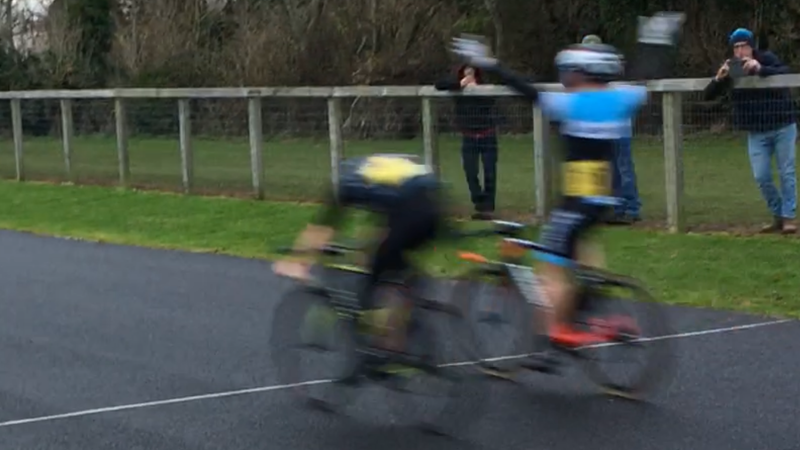 Gray had to settle for third with Simon Starling taking the sprint for 4th from the bunch. These riders will be ones to watch for the next few rounds of the series with points on the line and it surely won’t be long before they are testing themselves against the 2nd and 3rd cats. A huge thanks to Francisco Mora and the guys from GLL for organising this round, Andy Stewart in his role as chief Commissaire, fauxpro.cc for the interviews, photo and video, the South Region for their support for the series as well as everyone who came out to race. See you for the rest of the series!